Stroke & Stride 6pm June – August. 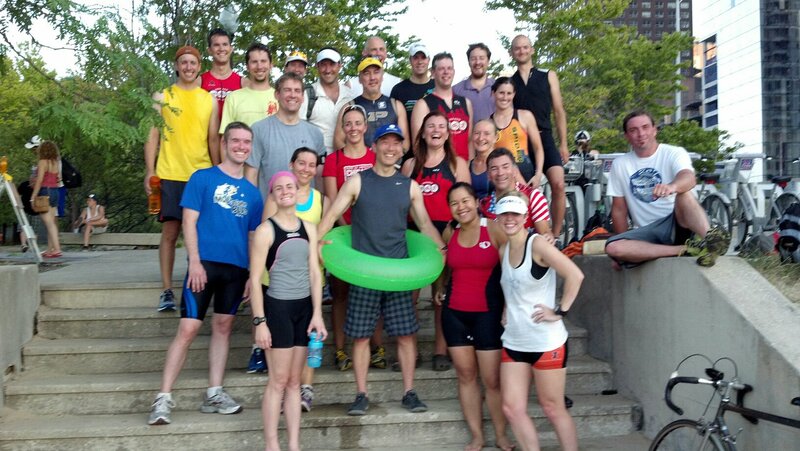 1/2 mile or full mile swim followed by a 2 mile run held at Ohio Street Beach, weather permitting (see Message Boards for updates). Check in with the timer by 6:15 and the event starts at 6:30pm. There is no fee for this timed weekly scrimage; depending on volunteer interest, results are posted on the forum. Generally, members socialize afterward for a post-workout meal and drinks. Update 5/2/2017: The estimated start date for Stroke & Stride 2017 is June 1, weather permitting.